Let choose item as you need and send email to [email protected] or WA to +628121505539 for code, size and qty. Q: Can you make for custom design or exclusive design? Yes. We can make its. Let send photo design, size and complete with specification of mirror we will inform for the price. We never also sell or post to other customer and that design is special for you. We will make only for you company. Q: How about estimate time production and MOQ? We do not have minimum order. But if you want get a lot of discount let order 50 pcs more. We will give about 30% discount. 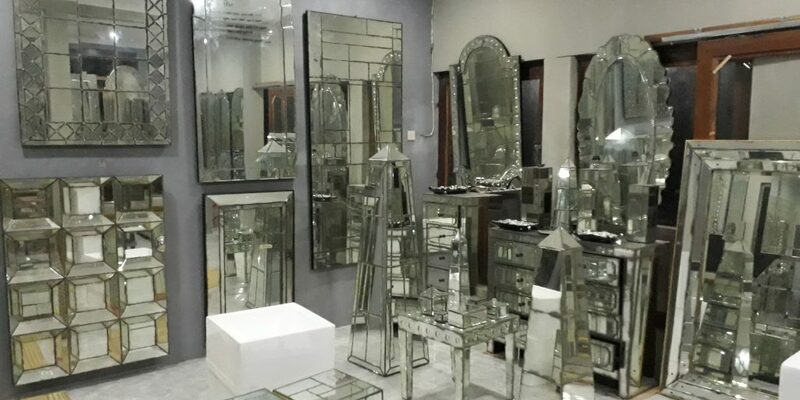 For order 21-50 pcs mirrors, we need time is 21 days. For order 51-100 pcs mirrors, we need 30 days. For order 101 pcs mirrors more or one container 20ft we need about 45 days. For order 300 pcs mirrors more or one container 40ft we need about 60 days. We will start to process after we get 50% first deposit. Q: How about cost and time of delivery? For shipment by SEA we only handle DOOR TO PORT there. So let inform the port is closer from your address and we will inform for the cost shipment. A minimal charge is 2 CBM and estimate time delivery is about 30-45 days. For shipment by AIR FREIGHT use weight of mirror. We can inform cost by AIR if we know total weight of your order and PLEASE send your address detail with zip code. Estimate time shipment is about 7-10 days (DOOR TO DOOR). Q: How about guarantee of the product? We have agent for handle all our shipment, if you get mirror broken in the middle or package our agent will change. But if mirror broken in the part, we will send the part and you can change there. Q: What is your packing detail? For order full container 20ft or 40ft A: We use bubble plastic, Styrofoam on each corner and side mirror and carton box for each mirror. We do not use wood pallet. But if you want add wood pallet is OK.
For Order LCL: We use bubble plastic, Styrofoam on each corner and side mirror and carton box for each mirror. And add wood pallet with standard international. Include ISPM document packing. For order LCL or one container: The fist deposit is 50% and the rest of invoice after we can show copy of original document. For Order by AIR FREIGHT: The first deposit is 50% and the rest if mirror ready and before shipment. AWB of document shipment will send by email. Address account : Dk. Tegalan rt 02/08. Waru. Baki. Sukoharjo. Central Java. Indonesia. Number Account: 7850 20 7954. Q: Is it OK for the customer’s quality control? Yes. Customer’s quality control could be check over the product from the raw material till the finished condition. Q: Can you provide me a catalog of your products line? Actually, we do not have catalog hard-copy yet, as we always make new items. By the way, our web site is our online catalog. Q: Why should Venetian mirrors of choice for decors walls of your home? Because the Venetian mirrors can give a distinct impression. Besides being able to give the impression of width of the room, it can also provide beauty and elegant look. Because Venetian mirror is an antique engraved glass art that already have high artistic value since hundreds of years ago. WE ONLY ACCEPT PAYMENT AS ABOVE BANK ACCOUNT.